tells the story about the nature of love between a mother and her daughter. After committing a violent assault on a familiar stranger, Dawn takes to the road with her daughter in tow. Finding seclusion in a remote motel, and desperate to keep her daughter hidden, Dawn enters into a risky liaison with a local cop. Dawn is hiding from something far greater than her words or actions reveal. Ultimately, her desperation becomes untenable and the past closes in with a devastating twist. 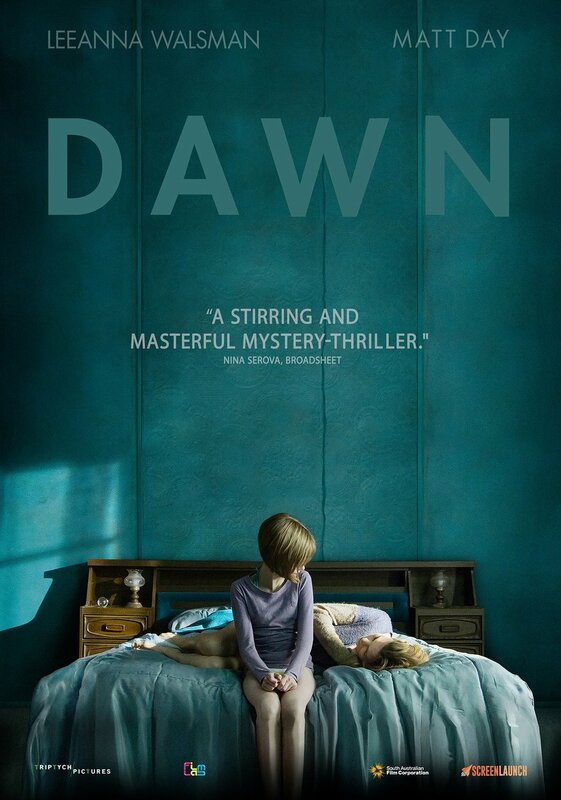 DAWN (titled TOUCH for festival release) premiered at the Sydney Film Festival in 2014 and internationally at Cannes Cinephiles in 2015. DAWN was selected as the opening night film for the Manchester International Film Festival and awarded Best Feature Film at the Asia Pacific Film Festival in 2015.
is an intimate portrait of an all-male theatre troupe who create a theatrical love letter to their mothers. 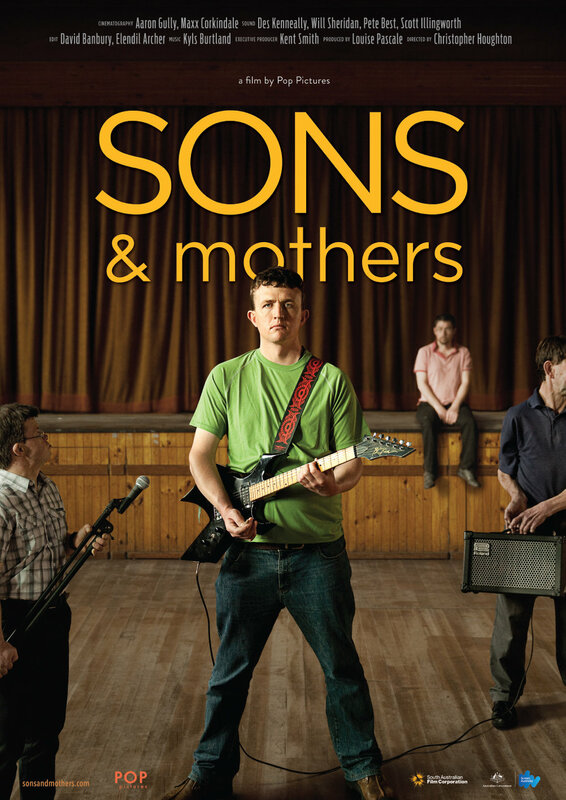 Heartwarming, funny and refreshingly honest, Sons and Mothers invites audiences to leave their view of disability at the door, and instead through the sheer delight of the Men’s Ensemble, experience what it is like to be simply human. SONS and mothers won Best Australian Documentary at Antenna Documentary Film Festival, Best Arts Documentary at the Australian Teacher's of Media (ATOM) Awards and long-listed for a Walkley. The film was also nominated for four AACTA Awards in 2015 for Best Direction, Best Cinematography, Best Sound and Best Editing winning two of its four nominations. SWING tells the story of an unlikely friendship borne of mutual isolation. Sarah rallies against her family and seeks independence through a part-time job helping a blind war veteran. Initially cagey and defensive, the pair find they have more in common than they expect. AWARDS Best Short Film, Adelaide Film Festival (Audience Vote) 2007 / Best Short Film, St Kilda Film Festival 2007 / Best Short Film (Nominee) AFI Awards 2007. LIGHTNESS is a poetic rendering of a classic European myth. The story follows an ageing glassblower disenfranchised by the very workplace he has dedicated his life to. Exhausted by a world that seems to be getting by fine without him, he withdraws to a private studio at night to rekindle an age-old passion. AWARDS Best Director, Australian Director's Guild & Australian Film TV and Radio School (Graduate Award), 2002. / Best Screen Direction, Screen Sound Australia & Australian Film TV and Radio School (Graduate Award), 2002. / Golden Tripod, Best Cinematography, Australian Cinematographer's Society 2002 / Best Screenplay, St Kilda Film Festival 2003. METHOD SCHOOL was an exercise in relationship. The film was cast without a script. Then over of few weeks, we improvised a series of situations that had nothing to do with character or story. Rather, the focus was on being present and immediate with the person you were working with. A script was written based on relationships that formed between people and without any rehearsal, we shot it. In the film, there is one professional actor, one acting coach, one non-actor and a bunch of acting students, all of whom, co-authored the film. The fun can be trying to determine which is which. Method School arrived in 2005, as a dark comedy about 'acting' and where what's real is up for grabs.